Although, they refuse afterwards being afraid of the criminal responsibility. 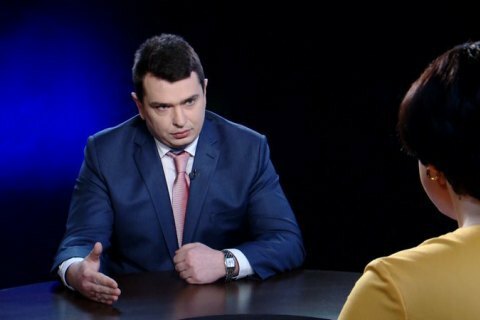 Daily, the National Anti-Corruption Bureau receives about 20 applications from MPs, the Head of the Bureau, Artem Sytnyk, said in the interview of the programme "Left Bank" with Sonya Koshkina. Although, not all MPs prove their statements at the questioning afterwards. "In fact, any public figure can write a post calling Mr. Pupkin a thief and announce plans as to forwarding applications to the National Anti-Corruption Bureau. And when the Bureau employees come, that person washes his hands of," Sytnik pointed out. As an example, he told about the application from the Peto Poroshenko Bloc MP, Vadym Denysenko, who had accused the Infrastructure Minister of receiving shady salaries. "We received an application from Denysenko. But, unfortunately, he did not come on the detective’s call. That is, he did not dare to support his appeal and give evidence after the clarification of the criminal responsibility for the false evidence," the Head of the Bureau added. The filter in this case, according to him, is warnings on the criminal responsibility for the wittingly false evidence about the crime. A person is clarified that he bears a full criminal responsibility for his statements. "Politicians often apply manipulations of public opinion. They make loud statements, and then do not want further investigation within the framework of the criminal process. They do not want to bear responsibility for the wittingly false evidence. According to the Article No. 62 of the Constitution of Ukraine, we have a presumption of innocence. Although, in fact, famous surnames sound in public with such prefixes as "thief" "corruptioner", which can be addressed only after the court verdict. It happens so in civilized countries," Sytnik said.